Sophomore Ibum Obu and junior Carson Myers are selected to All-State Chorus. 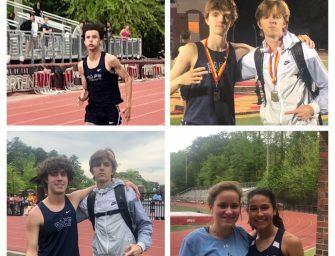 This school year has brought both successes in the arts department and the athletic department for Pace Academy. 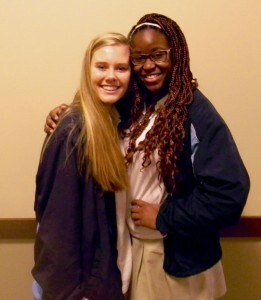 Two Pace students now stand out for their superb singing talent in the state of Georgia, as junior Carson Myers and sophomore Ibum Obu have been selected to the All-State Chorus for the 2015-2016 school year. In order be amongst the best singers in Georgia, Ibum and Carson had to pass through two auditions. The first included singing scales, while the second was judged on their ability to sing randomly assigned songs. “After passing the two rounds, we were so excited,” said Carson. Ibum confesses that if she gets a sore throat, it takes forever to recover because she can’t stop singing. Ibum has used the advice she received from Pace’s singing program to continue her development in singing. “I honestly can’t see myself using singing as a hobby, profession, or some shape or form, because it’s my passion,” said Ibum. Carson has left her mark on the Pace musicals and arts department ever since the beginning of middle school. “I knew I really wanted to continue singing after making the musical in sixth grade,” said Carson. 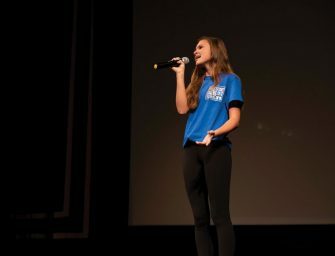 “I love singing and credit my inspiration to all of my peers for giving me confidence.” Carson stresses the importance of using All-State chorus to help her develop as a singer as she continues her career. Having started her career of playing piano and singing at age five, Carson was put to the ultimate test in the two rounds of the All-State tryouts. First, she sang an Italian piece, then she and Ibum both sang parts of six different songs in order to be named to the All-State chorus. “They passed through two grueling auditions to make it,” said chorus director Ms. Wallace.